It's that time of year again? Anyone doing National Novel Writing Month? 2,000 words in 30 days. Anyone else working on fics/projects or tackling nanowrimo? I'm joining Nanowrimo 2018! I'm hoping to churn out words for my Narusaku fic: Otherness. I missed the first two days because of holiday celebrations, so I have to write 5000 words to catch up to the daily work count. Which... you know...is pretty ambitious for someone who is still trying to find a happy balance between work and writing. But I'm currently trying to word sprint at the moment ^_^. I'm currently working on rewriting chapter 2 in the moment. I've also thought about getting a beta reader for my project, but I'm not so sure where to look or who to ask. This is my second time entering the challenge in seven years. I'm writing an an Auto-fiction by the title of NaruSaku ESP Club. Had no idea about this, and wow it sounds interesting..
out of curiosity does the writing have to be new? or can it be something we've been writing for a while now? 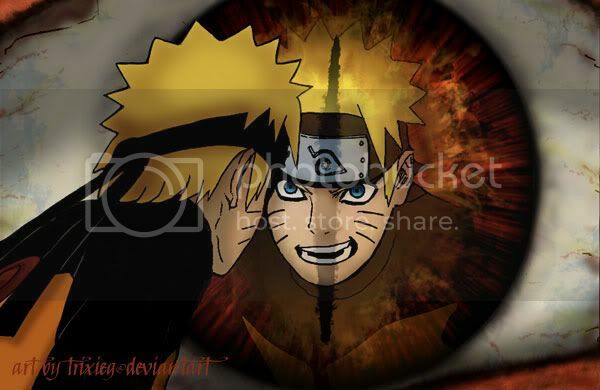 Writing next chapter "Voice in the Wind" and watching Naruto on adult swim.... Geez it makes me want to jump out a window! Just turned it on for some background noise, and it's crazy how bad it is! It's a shippuden episode where he defeats a pirate. I don't even remember it. edit: Now Boruto's on. ugh. I imagine it was one of their many filler episodes...they were at the land of iron last I checked so those are the filler arc of Naruto going to turtle island they did. Funny enough these are the group of filler that had the one where Naruto states his feeling for Sakura to that one girl. So there could be a week where Naruto expresses his love of Sakura to another girl that claims to be his fiance to explain why he can't marry her. Then followed up by an episode of Boruto where Naruto is married to Hinata, and their son Bolt goes on and on how miserable and pathetic Naruto is that he is a loser in a job he is not capable of handling his job or family life to the point of being completely overwhelmed, and he is overall a miserable depressed failure of a man in all aspects of life. Edited by Bail o' Lies, 10 January 2019 - 03:51 PM. Wow . . . you are still writing that fic. I left at the part where Naruto and Sakura had a fallout and went their separate ways. I'm still amazed that you people could still continue the Boruto anime. Edited by Konoha'sCrimsonFox, 11 November 2018 - 11:21 PM. I'm a writer, among other things. So I write. If you're a doctor, you doctor. If you're a ninja, you ninja. Come back in 10 years, I'll still be writing. I've got two other stories in two other genres going at the same time. And I think that's the norm for most writers I've encountered. From the beginning/fanfic ones to the serious/career ones. Not all stories get finished, but you keep on writing them. Another crazy thing...although it's certainly not as big as it once was, the Naruto fandom is still going strong. And not just for the ships that didn't get fulfilled. I wonder if it's because Boruto is still going on? It means Naruto is still a relevant/ongoing character, just not the way he used to be in the manga. Same for the other characters. Confession: So I watched Boruto, and....it wasn't bad. The characters were likable, and it was pretty well animated. The episode I watched was way better than some of the Naruto filler ones. Surprising. Lastly, eventually Voice in the Wind will become its own original fic. So I see this as one big rough draft that's just open to the public. So yeah, still writing. Well, November is wrapping up...and I totally dodged my nanowrimo novel (it's a steampunk/clockpunk YA). But! I've gotten pretty far into the next chapter of Voice in the Wind! Particularly backstory about Sakura and the village. It's very gratifying to write about her, since in the manga her character development is basically nonexistent. One of my favorite things about nanowrimo is that it really get me back into a good writing practice. Anyone else make headway on writing projects? Do you mean that you plan to eventually make a version of Voice in the Wind that is not set in the Narutoverse or featuring Naruto characters? I'd wager that would mean something much different than just the same story with a few name changes, right? Thanks! Yes, I'm working on an original fic version of VoitW that's based in a celtic/middle-earth type universe. While it won't be tremendously different — my fic is already pretty different from the way Naruto turned out! — it definitely will not be set in a feudal Japanese universe. The setting will be more highland castles than walled villages. The names will change, the systems of magic and mythology will change, the weaponry will change. But much of it will still be the same: the developed characters, the tensions, the relationships, the journeys of the parallel heroes (Naruto and Sakura) and how far they have to go to get back to each other, as well as the Naruto character's journey away from that castle life/system into the greater world. I've written so much more about Sakura's story (made it parallel to Naruto's), and so much more about the hidden spirit realm that feeds Konoha's human/shinobi realm, that VitW really morphed into its own unique story. And I'm still finishing my Naruto fics, but I realized a while back that this fic is so different from the original Naruto, it really does deserve to be its own story. So that's the future direction! I'll make some kind of formal announcement at some point. Plus an excerpt. But yeah...that's it in a nutshell for now. But hang in there - I'm still at it too! I've actually been reading some of your writing when there's not a lot going on at work, Tricksie. I just finished your "One Step" story yesterday and was kind of sad when I saw it was last updated back in 2014. However, I've also been reading "A Voice in the Wind" as well and am really enjoying it. It's taking me back to the days when we thought NS was actually going to happen and things just seemed so much simpler. Thanks! Glad you're enjoying it! I'm currently working on Voice in the Wind. Yeah, my other stories need attention. Actually, I was really surprised how long it had been since I updated! Doesn't feel like it's been that long. But yeah...I hate it when a story I'm reading gets abandoned. With no warning! So I definitely need to finish those shorter fics up. How Do You Get Past Writer's Block?